Birthday / Age / Date of Birth / DOB As of 2019, she is in her mid-thirties. 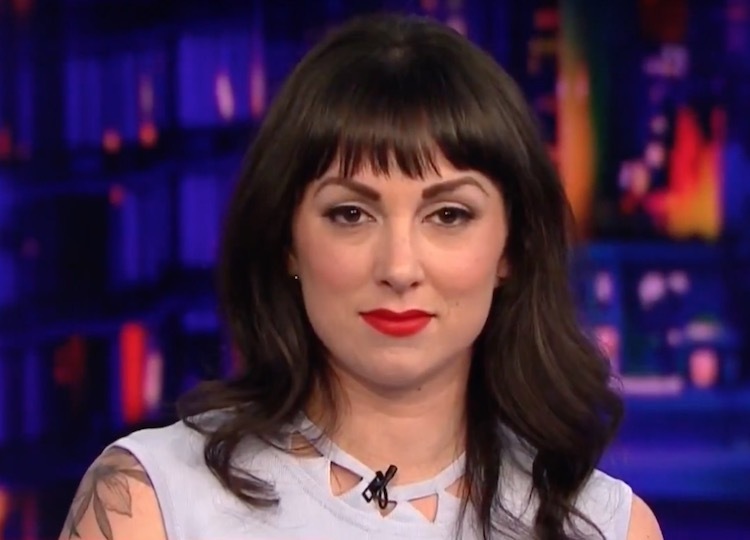 Erin Gloria Ryan, a dark-haired woman with quirky writing and the attitude to match, is a senior editor at The Daily Beast. Ryan has been writing for several years, and has also covered the many sexual allegations that have come forth in the media industry. Ryan was born in Frederic, a small town in Wisconsin. She loves podcasts and intersectional feminism, and when she is not writing, she can often be found watching Netflix and scrolling through Twitter, where she has over 100,000+ followers. In 2001, Ryan attended the University of Notre Dame du Lac, known simply as Notre Dame, In South Bend, Indiana. It has a high emphasis on tradition and the humanities, which made it the perfect school for Ryan. In 2005, Ryan graduated from the university with a Bachelor’s degree in English. Erin ran the 2013 Chicago marathon & considers one of the highlights of her lives. After graduating college, Ryan took some time to work on her personal writing and save up her money while she built her portfolio. In 2007, she began working at Merrill Lynch, an investment company that helps people navigate the stock market. She worked as a registered associate, and trained people in how to use their services and invest safely. It was during this period, that the Global financial crisis was at its peak. Post this, she moved careers & started writing work for VH1 network. In October of 2010, Ryan began writing for Jezebel (DOT) .com, a website under the Gawker Media umbrella. Jezebel is a news website that covers, celebrity, fashion, and political news. In signature Gawker Media style, the site has a unique voice heavy with sarcasm, wit, and jokes that don’t pull punches. On alleged sexual assaulters, they have no qualms about calling them monsters or denouncing their pleas to look at things from their point of view. On disconnected politicians, they have no problem calling out their hypocrisy and making fun of their overinflated egos. Ryan’s writing fit in well with the outlet, and she quickly made a name for herself with the publication. In June 2013, Ryan was promoted to news editor at the website & in November 2014, Ryan was promoted to managing editor. In April 2015, in a bizarre incident, she was punched near left eye by another woman. During her time writing for Jezebel.com, Ryan also took a brief position with Viacom, and wrote script for their TV channel. After Gawker Media’s flagship publication dissolved, Ryan got a new position as the deputy editor for Vocativ, a media company that analyzes trends and forums on the “deep web” to bring news from unconventional sources and from different perspectives that traditional news sources either don’t have access to or ignore. Ryan worked with Vocativ for one year. In October of 2016, Ryan began writing for The Daily Beast as a senior editor. Her unique voice and attitude fit well with the publication. Marriage & Wedding / Husband / Partner / Boyfriend Currently Not Married. I’d like a date with her. I think it/she would be fun. I have watched Erin Gloria on MSNBC, S.E. 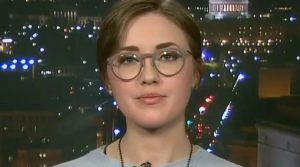 Cupp ( HLN) I really enjoy her perspective on just about any topic. A real breath of Fresh Air !